Hi. This is Callie's husband, Jake. When I headlined Loonees Comedy Corner this summer, I worked with Colorado Springs comedian, Frankie Palazzolo. Super cool guy. Unfortunately, he lost someone very special due to a seizure. So, he submitted this entry to Seizure The Day. It's a good reminder that every day is a gift- and we should use it to take care of the people we love. Here's Frankie's entry, "Forever & Always." It was July 5th 2012. I noticed my Facebook chat had many friends online and I noticed one friend that I hardly talked to in the past and I felt like arching out to her, something inside me just told me to say something so I did. I asked Jessica, "Where have you been all my life". A statement like that is out of the norm for me, she responded right away and we conversation for awhile and she gave me her number. By the following Monday we were on our first date, she was honest from the start. We were talking and she explained to me that she had Epilepsy and that if this was too much for me that she would understand if this would be our last date. I told her that no matter what I would catch her if she had one, she said it had been a month since her seizure and that they are violent and unexpected. I remember seen this before, I went to elementary school with a kid that had them in class all the time, so I was familiar with Epilepsy and how it can happen at any moment. The next morning she text me, "Good Morning Sunshine", I was excited, she obviously wanted to go out again and I felt a very strong over whelming connection with her, its so hard to explain but I was so drawn to her I asked her again. We went out that night to a local tavern, she only had two drinks and kept eye contact with me the whole time smiling. I felt o comfortable, like we had known each other for a long time, I was getting text messages from people inside the tavern that knew me were telling me how beautiful she was and were happy for us, they thought we had been together for awhile because of how comfortable we were together. When I took her home, she kissed me. I couldn't believe it, but I knew it was right. I really liked this girl from the moment I met her. I talk to her for a little while the next day and planned on taking her to the local comedy club on Thursday. On the way to pick her up, she couldn't go because she didn't have a babysitter, so I told her we can go another time. I got a text while sitting at the comedy club that she was kid free and wanted me to pick her up. I was hesitant at first because I was already there but my cousin was with me and said lets go get her, she likes you. I picked her up and she was so beautiful, smiling and happy. When we go to the comedy club, we walked in and she couldn't find her ID, I walked away from her for a brief second and she went into a grand mal seizure, I heard the noise and turned around and she fell that fast. She hit her head on the hard floor, paramedics were called in and they took her to the hospital, she was bleeding out of her ear. After they took her to the hospital, i went to the restroom and I was so mad at myself for not standing next to her like I told her I would. When i go to the hospital they wouldn't give me any information so I had to be very pushy on finding out where she was, I eventually found her after about an hour of searching. She couldn't really comprehend much, she recognized and told the medical staff I could come in and stay. I didn't want to leave her side, so I spent the night on the hospital. I woke up the next morning and she was looking at me in surprise, "She said, You found me and you didn't leave". I told her that I wanted to be with her until she got released. She had no car or any way of calling family. I ended up staying with her a whole week in the hospital. When she was finally discharged and ready to go home we went to lunch and I didn't want to leave her side. We text back and fourth, she had told her family she had claimed me. She sent a request on Facebook for relationship, she text me and said that if I don't accept that she would understand since we had just started hanging out and most of the time was in the hospital but I accepted. I was in a new relationship, I was over joyed that this wonderful person was so into me. I met her kids right away, we were inseparable from that point on. I was so happy to have a new girlfriend and how well we connected and got along. She had two daughters, ages 8 and 10. She only had custody of her 10 year old because her seizures were so bad the court didn't feel an 8 year can dial 911 if a seizure occurred. Life couldn't be more perfect, she had started to become seizure free, two months had passed since her last seizure at the comedy club and I asked her neurologist if the new medication she was on was helping. They had her on Dilatin and Keppra. It seemed to be working, but the neurologist and Jessica both told me that I had a lot to do with it also, she was happy. The happiest she had ever been. However one day she had came over to my place and looked upset, I asked her what was the problem and she said she had to move to Denver. I was shocked, I was like why? She said that her grandma whom she lived with was taking her medication behind her back and causing problems with the 10 year old. I told her without hesitation, move in. I will help you. She was shocked and unsure, like she said we only been together a short time. I told her I just knew that we were meant to be. So she moved in with her 10 year old. We were able to get Olivia in the school next to my house and everything was going super well. No fighting, no arguments or conflict, I was working during the day and doing comedy nights and weekends when i had the opportunity. She supported me in my career, and most important she was seizure free. It was day after day, week after week and then month after month NO SEIZURES. I thought that this was the road to recovery. I knew one could strike any moment but was confident that maybe that they would go away. The holidays were amazing, her family just embraced me and loved the fact that I changed her, I brought her back to them and everything was normal again. I was changed, I couldn't be happier at this point in my life. I was so glad I stayed with her in the hospital, the connection just grew stronger and stronger. She played pranks on me all the time, she put laxatives in my drinks or she would put fart bombs in my car without me knowing. I would laugh every time and play pranks on her, surrand wrap around the toilet seat created a new war between us lol. We never stopped, it was a constant pranks back and forth. We were so much alike, our birthdays were approaching, mine Feb 1 and hers Feb 4. Things were a little different that weekend, Jessica was a little more distant than usual, I could tell that something was a bit off and maybe a seizure was coming or maybe she had one and didn't tell me but things were off a bit. I was getting prepared for my first comedy festival in Nebraska that weekend. The Great American Comedy Festival takes place once a year and I had a chance to shine in my career in comedy. We went to dinner Feb 5th, she had thanked me for everything and all I did for her and Olivia. I noticed she didn't each much and was off again but I thought maybe she was just having a lot on her mind lately and that happens to all of us. When we got home we put Olivia to bed and I started getting my stuff together for work the next day. Jessica got ready for bed, we talked awhile and she went to sleep. I woke up at about 145am in the morning and found Jessica unresponsive, I called the paramedics right away, she was pronounced deceased after about an hour of them trying to get a heart beat. Jessica had seized in her sleep, she was seizure free for the longest time and theories are all pointing at SUDEP. Sudden Unexplained Death in Epilepsy. A condition that effects young adults, ages 20-40 where the person goes to sleep either taking a nap or goes to bed at night and never wakes up, neurologists are saying that its nuerons miss firing in the brain during sleep causing the person to seize and their heart to stop. Its currently being reviewed and research but still not a lot of information is done about it or what causes it. Epilepsy patients in their 20s are effected the most by it. 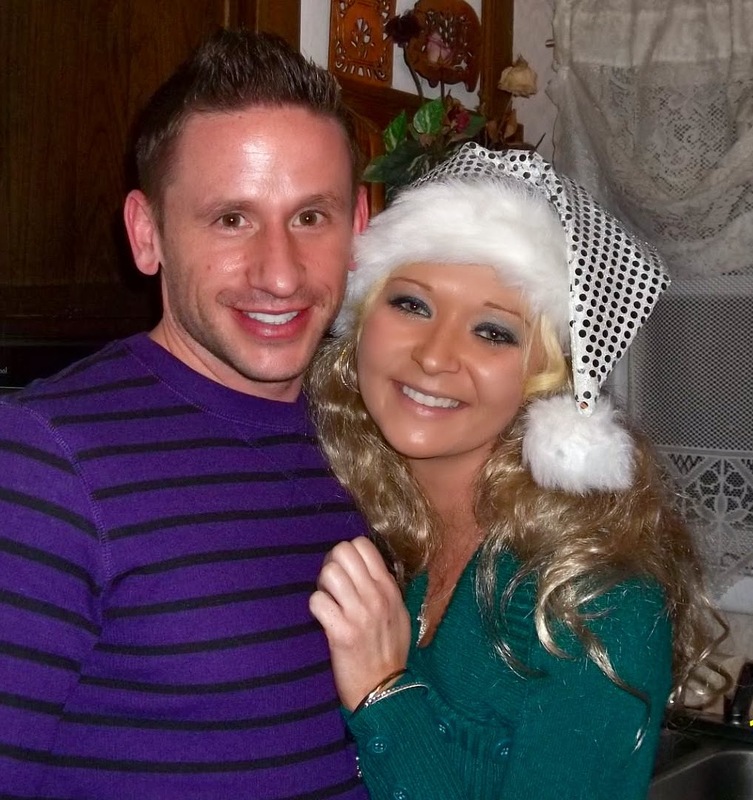 Jessica had posted a Facebook post the night before she past, "For the Love of my life Frankie P, you complete me like nobody else, Forever and Always XoXo", I sometimes wonder if she knew and that was her goodbye to me? Questions will always go through my head and I will always have that permanent void going forward. Epilepsy is one thing I want to see a cure for in my lifetime, would be the greatest break through in modern medicine. Too many lives taken young. Jessica lived her last days happy and life fulfilled. I am glad to make such a difference in her life giving peace and happiness, unconditional love that she so wanted her whole life. I gave her security and trust that she needed to complete herself as a person. During these past 6 months I been taking care of Olivia and being there for both girls. I now have new people in my life that make it complete. I will see her again, this is just the beginning of my new journey.